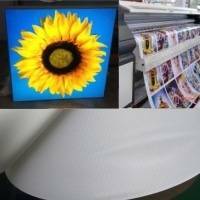 Digital printing material is described as any ink jet based method of printing colorants onto fabric. 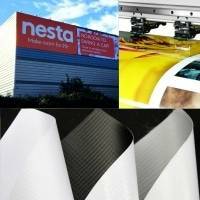 Large designs of indoor and outdoor advertising onto large format rolls of textile. 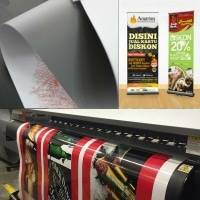 The latter is a growing trend in visual communication, where advertisement and corporate branding is printed onto polyester media. 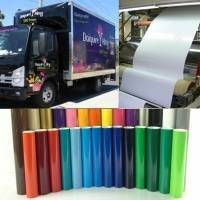 Examples are: flags,banners, signs, retail graphics. 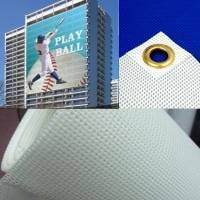 Polyester fabric is printed mostly with UV and solvent inks. it is very important for outdoor use.